Do you need to file incoming telephone messages for your colleague or your boss? 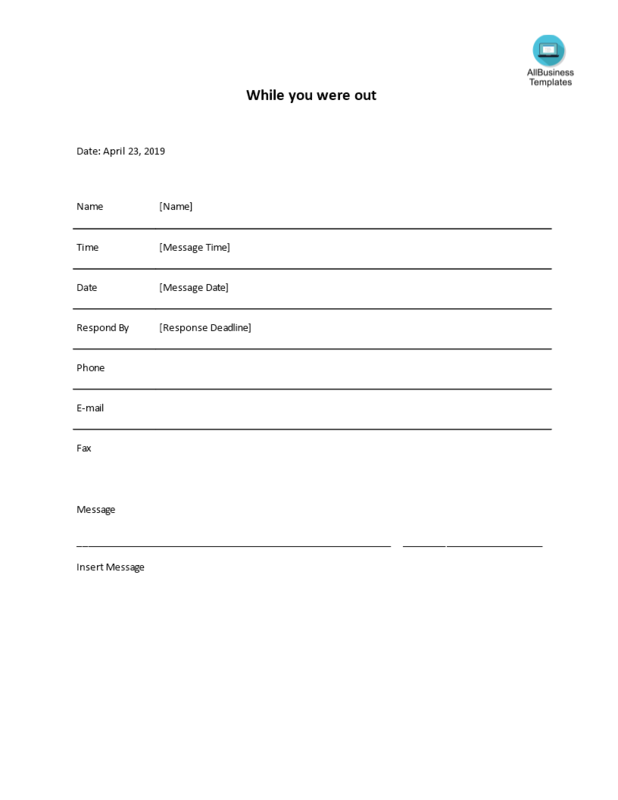 Download this Telephone Message Slip MS Word template and get your phone message slip that will show a professional attitude to the receiver in minutes! This telephone message slip in MS Word can be used to register incoming phone calls in a professional way. Our templates have ways to grab your receivers’ attention. Every other essential piece of information requested is covered. After downloading and filling in the blanks, you can customize every detail and appearance of your MS word telephone message slip and finish in minutes. Nowadays many are relying on their smartphones for basically everything they are involved in. It's becoming a very important part of our daily life. The phone is not anymore a device to simply call and deliver a message. Phones can now be used to acquire recorded messages when you are not able to take the call yourself and such voicemail messages can be very beneficial to you, especially if you’re one who relies on communication for your business. Therefore it's best to properly introduce the opportunity to leave a voice message to the person that is calling you. Print out your Phone Message Template Word file now!